SPUNJ a famous Australian CSGO pro player and streaming personality recently played in the recent CSGO MLG major qualifiers. His team Renegades just narrowly missed out on qualifying from what many would say was a huge misplay by SPUNJ in a 1v1 clutch moment (see in video below). But the amount of flak and criticism that occurred afterwards was unprecedented. That 1v1 from SPUNJ might be the worst played 1v1 in the history of Counter-Strike. 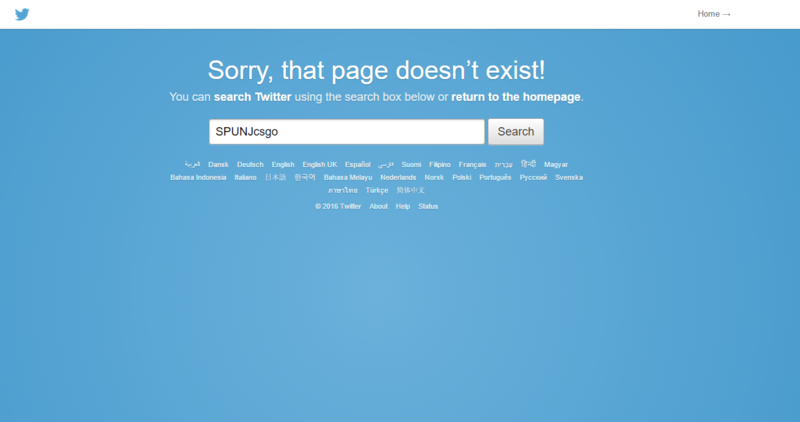 The constant flaming and abuse SPUNJ proceded to receive from Twitter, reddit and Twitch caused SPUNJ to deactivate his twitter. This has now caused a wave of support by various players and CSGO personalities and as usual Richard Lewis has been one of the most outspoken (this time in a positive light). Spent last night drinking with Spunj. He's taking the loss real hard. Was a good move to deactivate Twitter but I'm sure he'll be back. I can tell you all that Spunj is a great guy. In reality he's humble but he adopted the role of showman as it was good for the team. Watch a video below on the Story of SPUNJ highlighting the events leading up to this chaos and the aftermath. Here’s hoping that SPUNJ can move on from this mess and keep his chin up.